The winter is here and for some this means that kite season just begun! 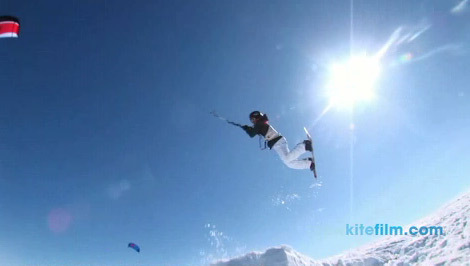 Snowkiting is a great extreme sport and does not require as much wind as kitesurfing on water. But if you crash you might hurt yourself even more than you do in water… Just look at this video made by Morten Gjerstad. Question is if snowkiting is more dangerous than kitesurfing… What do you think? Don’t know if you’ve seen this trailer from Dimension? It´s a pretty old one, but superb! Great music and and great shots!